My second stop on my mini exploration of Zagreb’s Michelin listed restaurants was at Noel. 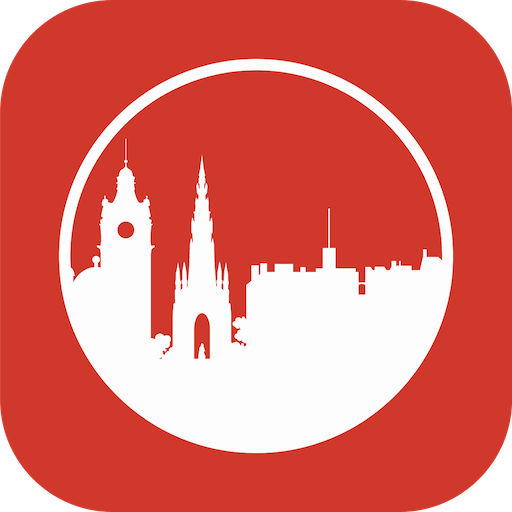 Very close to where I was staying, I was only partly frozen to death when I arrived in their stylish dining room for what I suspected – correctly – would be my second tasting menu of the day. The place was at least half full which seemed promising given the cold temperatures and the fact it was a January Tuesday night when most people are skint and miserable. I took a corner seat and perused the menu while sipping good local bubbles. They offered a four or seven course tasting menu, but everything listed was also available a la carte. This encouraged me to venture just a little off piste, opting for the four course menu but adding an extra course of foie gras from the seven list. This was warmly approved by my friendly waiter/sommelier. While I continued to sip the bubbles, grissini, breads and butters were brought all of which were pleasant. Snacks followed with an extremely garlicky cracker and a little cuttlefish puff, both of which had some room for improvement. 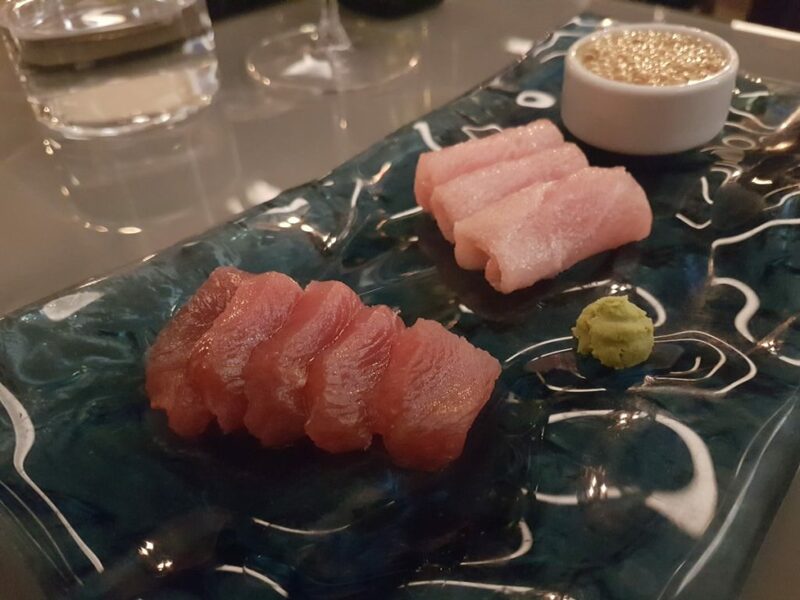 My first course was tuna sashimi. This came in two forms with the more usual fillet and the highly prized toro belly. With a bubbled soy and rice vinegar mix for dipping, this was a fresh and satisfying opener. 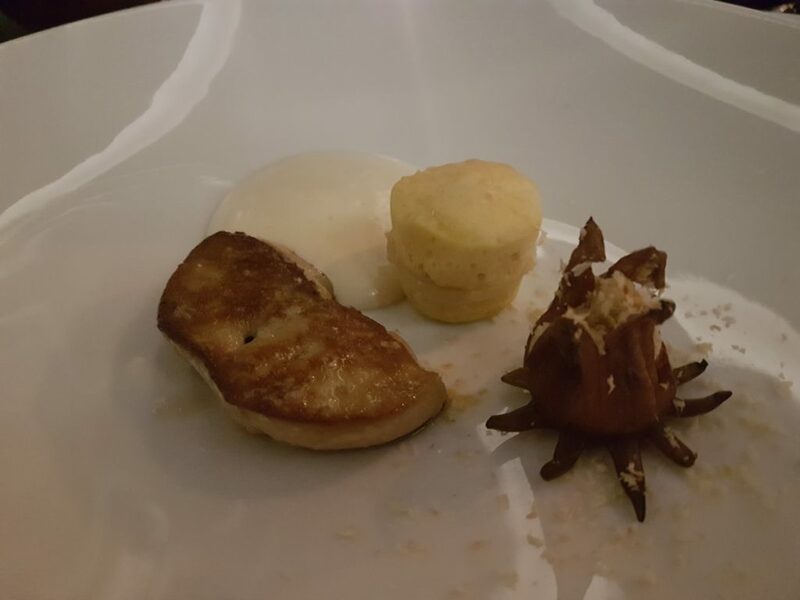 We then had the foie gras which came with an apple stuffed brioche, hibiscus flower, and toasted hazelnuts. The apple and hibiscus didn’t pack enough zing to cut through the richness of the foie gras making it a slightly unbalanced dish. Still, it was pretty tasty stuff. 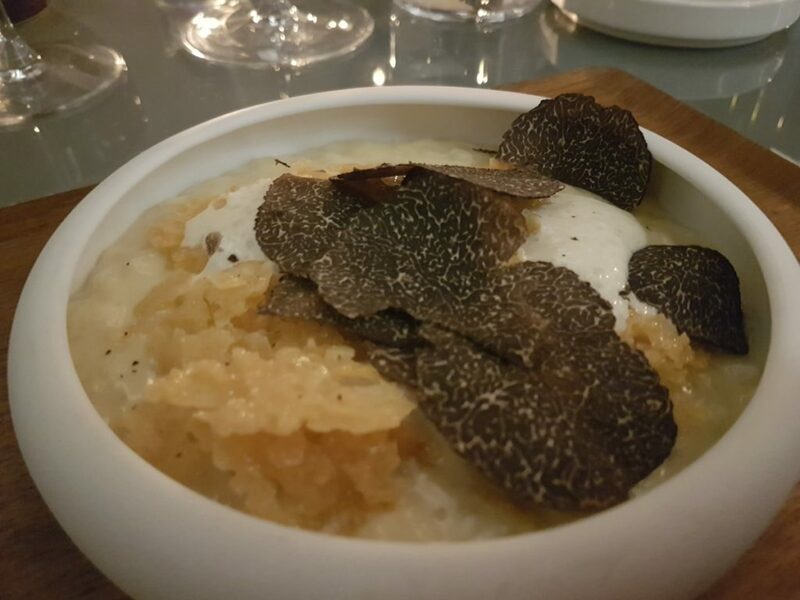 Next we had a local sheep cheese risotto, topped with black winter truffles. The cheese had been made into a topping foam and crumble as well as cooked through the rice making for a deeply cheesy experience. I enjoyed it. The main course veal entrecote with celeriac variations. The meat was very well cooked and the celeriac – roasted, as thin chips, and in a puree as the stuffing of a tortellino – was an able foil. 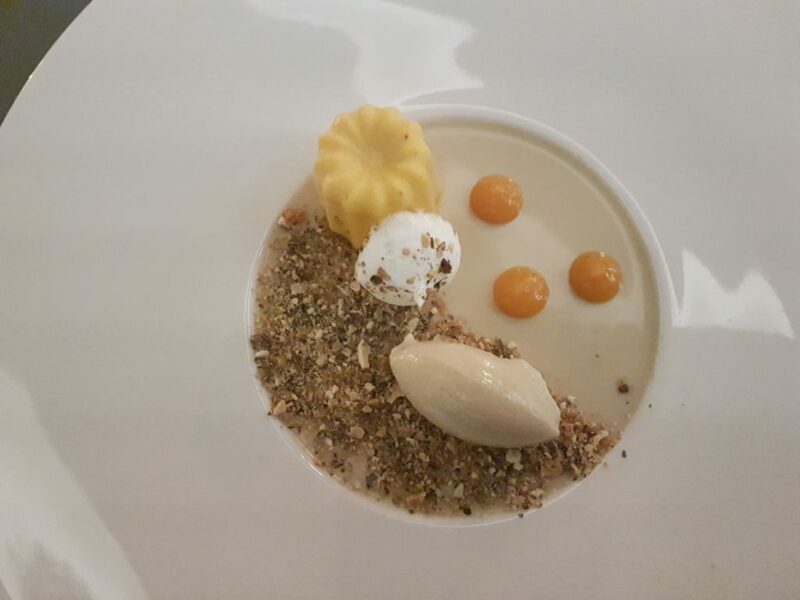 The dessert was a range of different pumpkin elements, a seed crumble, pannacotta, puree, meringue and ice cream. This was pleasing stuff and a good finale. Overall, Noel didn’t quite hit the heights of Bistro Apetit bit still served me a very enjoyable meal. Where dishes didn’t quite hit the mark, it seemed to me that only minor refinements were needed. Perhaps on a different night these would have been delivered with a little more precision. 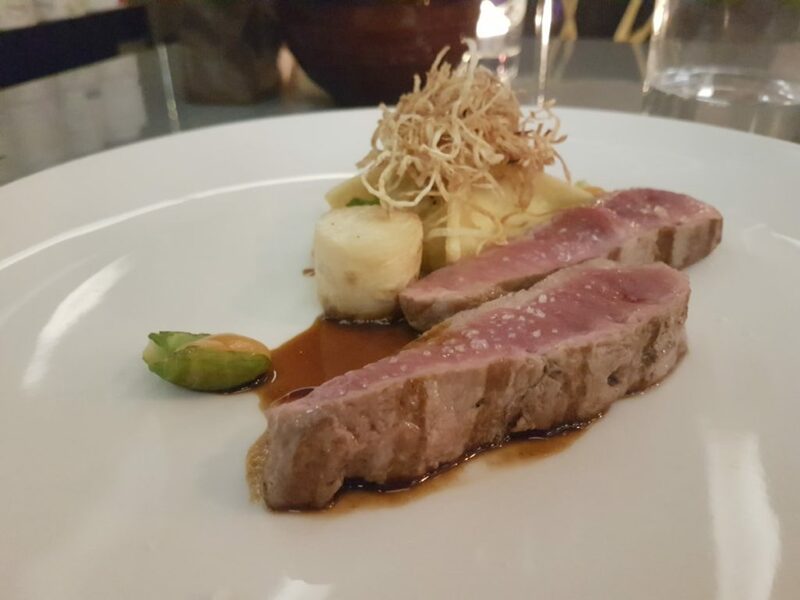 It’s definitely worth a look next time you’re in town and looking for an elegant dinner.